Our Adhesive Sheets are perfect for DIY crafters who want to jazz up their boring surfaces with a non permanent adhesive!! 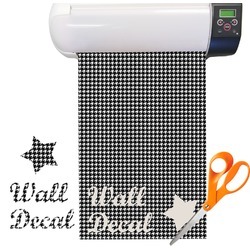 You can make decals or skins for your walls, cars, laptops, phones, and more!! There are almost limitless possibilities of what you can create. 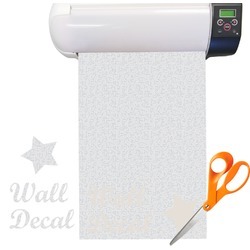 You can cut out your name, a monogram, or any design with a hobby cutter such as the Silhouette, Stika, Cricut etc. on these sheets and then apply it to any hard surface such as glass, mirror, wood, metal, plastic, paper, and walls. Theses Adhesive Sheets are different than Vinyl Sheets because they are semi-permanent, removable and re-position-able, and will not damage or leave a sticky residue after you have removed it from surfaces.